Unfortunately, I fell behind on my January Island Batik challenge after my sister fell ill and never finished it in time for the blog hop. The last time you saw that project, it looked like this. I’d sewn together the background, created all the parrots, and made templates for the leaves I was using to create a jungle effect. 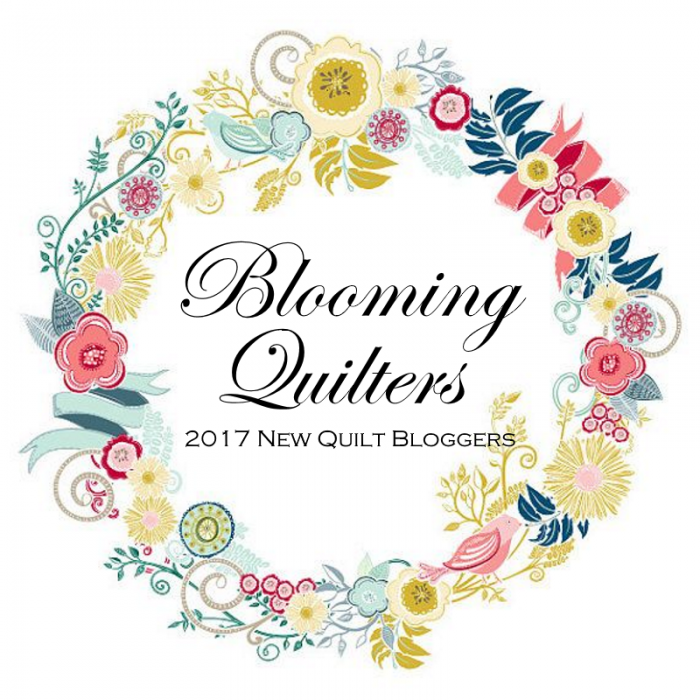 The quilt uses fabrics from the Fortune Teller collection by Island Batik and I was inspired by them to create a nighttime jungle scene with brightly colored parrots. Since you last saw the quilt, I have started fusing and edge-stitching all the shapes. First, I fused down the branches and edge-stitched them. Then I fused each parrot down onto the background and edge-stitched it. This takes a long time because there are so many colors and I have to keep changing threads. I’ve also made progress on my March Island Batik challenge. I’ve finalized the design and chosen the fabrics. Today I’ll start cutting and sewing the blocks together. This collection is called Twilight Chic. Twilight Chic is in stores now. I really love these colors! I’ll leave you now with these tantalizing works in progress. <grin> Be sure to follow me if you’d like to see the end results! You’ll find ways to follow at the top of my sidebar. 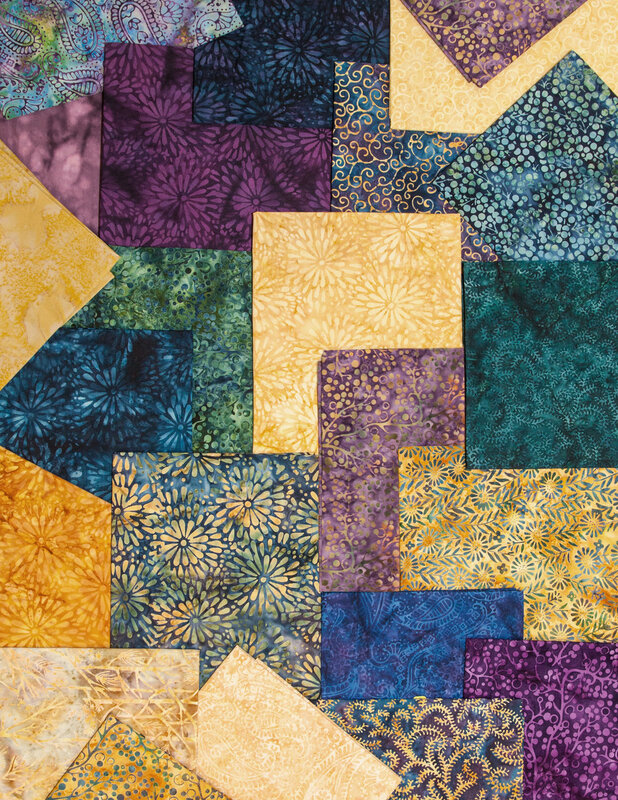 Tell me…do you use batiks in your quilts? what do you make with them? As you know, I fell behind on my January Island Batik challenge after my sister fell ill. The last time you saw that project, it looked like this. The quilt uses fabrics from the Fortune Teller collection by Island Batik. As you can see, I was inspired by those fabrics to create some brightly colored parrots in a nighttime jungle. Included in the collection was a dark blue batik that I chose for the background. I didn’t have much of that blue however, so I needed to do some careful cutting to create a background large enough for my design (larger than shown here in the first photo). 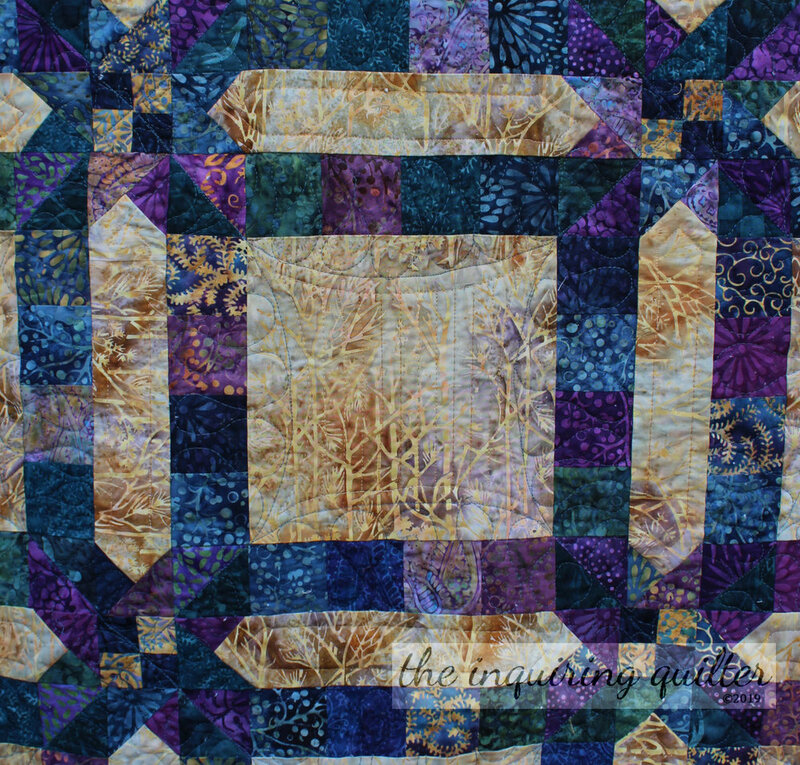 Since you last saw the quilt, I have cut and pieced the background to make it narrower and longer. I have also made some smaller parrots and fused some branches to the background for the parrots to sit on. I’ve also designed some patterns for the tropical leaves that I want to add to complete the scene. 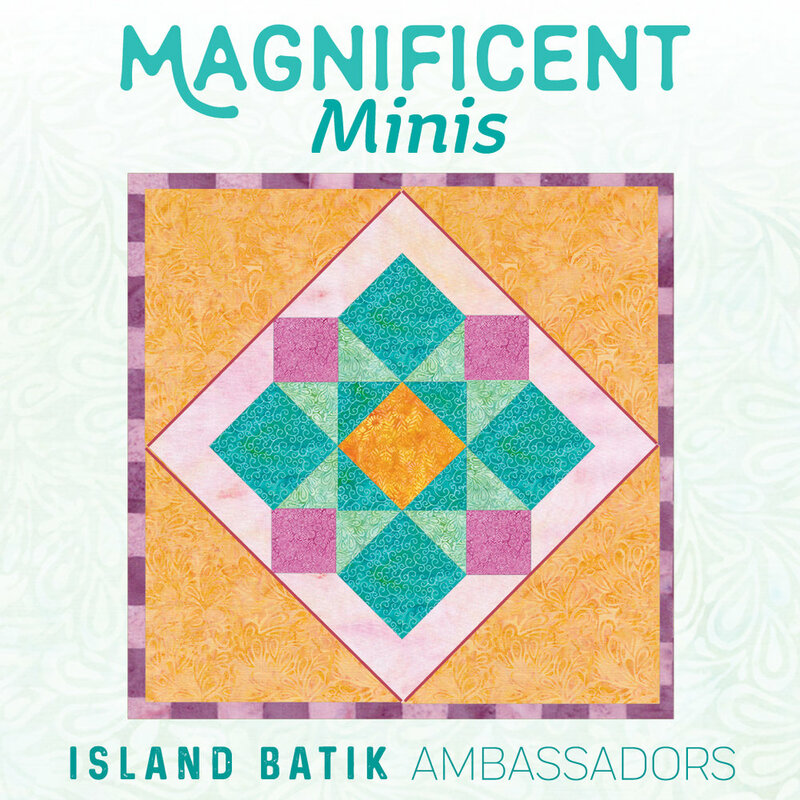 Meanwhile, I’ve also been making progress on my February Island Batik challenge, which is to make a Magnificent Mini quilt. Here is my fabric pull, a very Valentine-inspired fabric grouping. This is not an actual collection, but simply a grouping of random reds and pinks from my Island Batik scrap pile. I think I may have already told you that I have created a design for this project that I’m happy with. Tell me…which set of fabrics shown here do you like best and why?